Key feature of Wave Editor is a simple selection of audio blocks during playback. Non-destructive editing allows you to make simulated changes to an audio track without overwriting the original file. Formats: MP3, WMA, WAV (PCM, ADPCM, GSM61, DSP, A-LAW, U-LAW and more…). 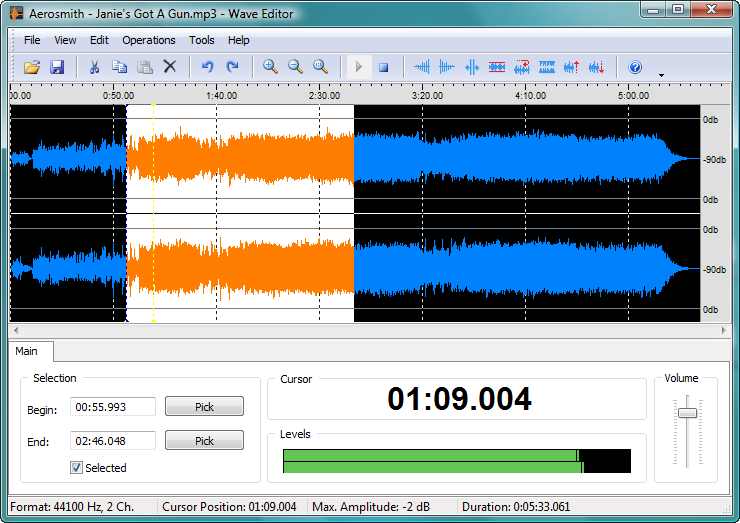 Wave Editor fully functional and does not contain any spyware or adware. It’s completely free!